Terrible Advice Tuesdays: To ensure your bulkheads won’t leak, glue them to your tank with PVC cement. Terrible Advice Tuesdays: If your aquarium is leaking, just pour in Radiator Stop Leak to seal the leak. Terrible Advice Tuesdays (T.A.Tues): If your saltwater tank doesn’t have coraline algae growing in it, then your tank isn’t healthy. 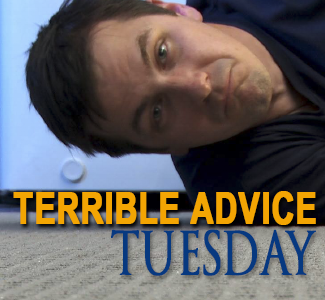 Terrible Advice Tuesdays: The easiest way to crash your tank is to feed your fish. Terrible Advice Tuesdays: The wattage of LEDs doesn’t matter because half of the watts are for cooling fans. Terrible Advice Tuesdays (T.A.Tues): If your tank doesn’t break in the first 3 months of it’s life, it is good to go long-term. Terrible Advice Tuesdays (T.A.Tues): There is no need to quarantine your fish because ich is in your tap water. 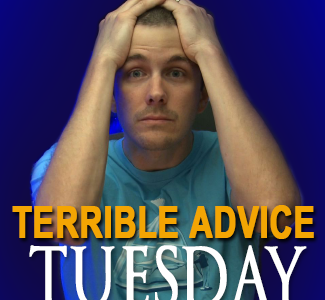 Terrible Advice Tuesdays: It Skims, Stinks, and Can Hurt You? Terrible Advice Tuesdays: Cleaning your skimmer’s cup by hand is not safe. Chemicals in the skimmate can be absorbed by your skin which can make you sick. Use an spray nozzle instead of your hands. Terrible Advice Tuesdays: If you’re not sure if your floor will hold the weight of your tank, setup your tank first then see if the floor sags. If it does, then you’ll know how much to support the floor.